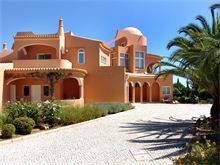 Situated mid-way between Carvoeiro and Armacao de Pera and just 1.5km from the delightful Albandeira beach this villa offers the perfect retreat for those seeking space, comfort, peace and quiet, yet be only minutes away from the hustle and bustle of seaside resorts. It is set in substantial grounds with beautifully tended gardens and fabulous terraces including 180 degree views of the coastline from the upper terrace. 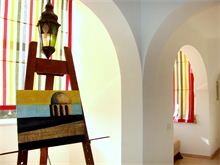 The owner is a talented artist and has decorated the villa in her own individual style with original art almost everywhere you turn. This gives a modern contemporary feel with vibrant colours enhancing the huge open spaces inside perfectly capturing the Summer feeling. 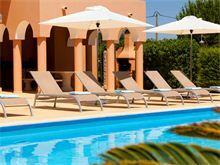 Well equipped throughout with two separate living areas and a large formal indoor dining area and fully shaded outdoor dining terrace complete with barbecue and grill, Vivenda Diamante is a great way to enjoy a holiday with extended family and friends. 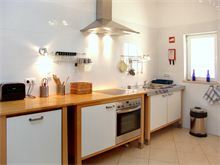 Approximately 5kms from shops 2kms from the beach. Gated driveway leads to entrance and hallway. 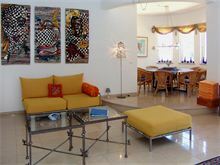 Large open plan living and dining area leading to second living area with TV with DVD. 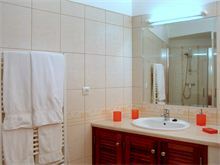 1 twin bedroom en suite shower room, 1 twin bedroom en suite shower room. Kitichen with dishwasher, microwave. Laundry by arrangement. 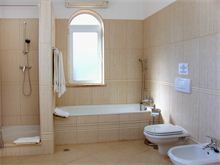 Upstairs to 1 double bedroom, 1 twin bedroom, 1 full bathroom, master double with en suite bathroom and doors to terrace. Maid service 5 days per week, laundry by arrangement. Upstairs to roof terrace. Air conditioning and pool heating are available at extra cost, if required. 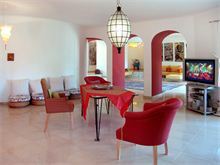 An amazing villa, with great outdoor space for children. The garden is mature & well kept. The pool area was great with lots of sun loungers. 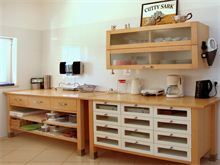 The kitchen was well equipped & the downstairs was spacious. Maid service was very discreet & professional. This is a beautiful villa in a fabulous location. 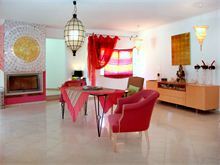 The villa is kitted out for every eventuality and gave us a real week of luxury. The cleaner, gardener and rep were really friendly and helpful. This was a fantastic holiday in an amazing property - thank you...we hope to return again! 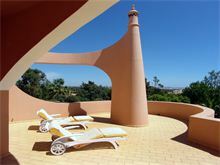 We had a fabulous week at this villa, there were 7 adults in the party ranging in age from 17 to 83. 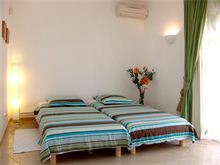 The villa is very spacious and comfortable. The salt water pool is really lovely. 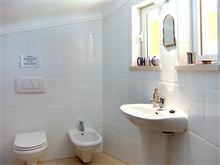 There are 2 bedrooms on the ground floor which were prefect for some of the party who have mobility problems. 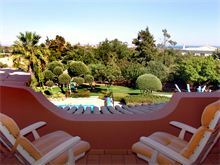 We spent most of our time at the villa and used the barbecue and outside eating facilities. We visited a couple of local restaurants which were excellent. We had a really lovely week. Would definitely recommend Affinity Villas to others. We had a wonderful time at this amazing Villa. There were ten of us including our six month and two year old grandsons. The villa is so safe and the garden was excellent for hunting 'tigers' and 'elephants'! We are keen bird watchers and we saw and heard some wonderful bird life - even with two small children making a lot of noise! The maid and the gardener and pool cleaner couldn't have looked after us better. The house really is very special and I particularly enjoyed the art around the house. The views are great and it is very peaceful. We had a very special holiday. 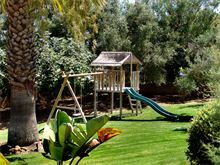 We spent a fabulous week at Villa Diamante we had 7 adults & 2 small children in our party. 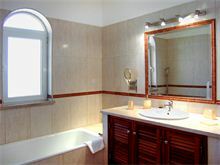 The villa was absolutely spotless and so spacious. 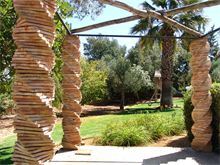 The gardens are beautiful and a real feature, our children loved exploring and playing hide & seek in them. Special thanks to Sandra who looked after us so well and who keeps the villa so beautiful & clean. The location is lovely and very peaceful. 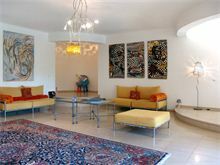 Very well kept villa with excellent amenities. Large pool for a holiday villa with lovely grounds. Easy access to a very nice local beach. All in all a fantastic villa. 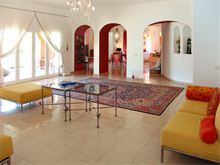 Fantastic villa, tastefully decorated and furnished to a high standard. Everything was provided that was needed. Our maid was amazing. 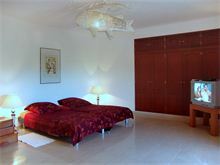 Affinity Villas were very accommodating on a number of occasions. Best villa rental company I’ve dealt with so far. We will be back for sure. Many thanks again. This was the third time we have been to Vivenda Diamante, and it was just as good this time as it was the first time we visited 4 years ago! The maid is fantastic and looked after us so well. 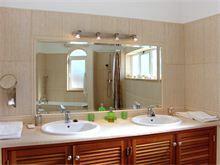 The facilities are first rate - if you are looking for a villa that is a little bit out of the way, but within a 10 minute ride of the resort centre, this is the villa for you! 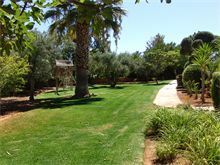 Absolutely beautiful, tranquil gardens and safe environment for the kids to wander around all day. Perfection! I took the whole family to this wonderful Villa for my 60th birthday. We ranged in age from 1year old to 70 years old. It was perfect, a beautiful place with lots of outdoor and indoor space, you never felt on top of each other and the pool and out door living area were perfect. The maid service was a lovely touch. 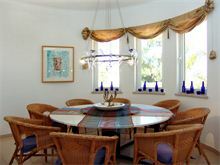 We have holiday'd in England and abroad as a large group for many years, and this is one of the nicest Villas we have stayed at. Hopefully we will be back. Everything was really good. Maid service was also very good. 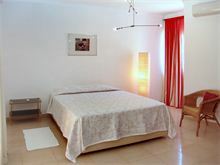 The villa is perfect for our group and all the facilities and comfort are best.